The 2018 Employer Needs Survey, carried out by the Labor & Economic Analysis Division (LEAD) of the North Carolina Department of Commerce on behalf of the NCWorks Commission, asked over 2,000 business establishments about their hiring practices, with emphasis on hiring difficulties and workforce needs. In addition to an Overall sample of all industries, we surveyed Manufacturers and a set of Science, Technology, Engineering, and Mathematics-related industries (STEM). The survey also looked at several labor markets of differing sizes, recognizing that employers may have distinct needs depending on the size of the available labor force. The survey also examined difficulties hiring workers for positions requiring different levels of experience: entry-level (less than 1 year of experience), mid-level (2-4 years) and senior-level (5 years or greater). 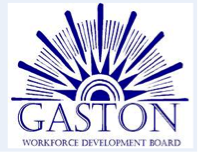 The NC Department of Commerce’s Labor & Economic Analysis Division (LEAD) and the Business Services Representatives (BSR) of the state’s workforce development boards collaborated to better understand the skills gap issue. Nearly 800 public and private sector employers with between 10 and 499 employees were surveyed among a randomly selected sample based on the state’s industry mix and geography. The study over-sampled Manufacturers (frequently cited as having hiring problems) to compare to Non-Manufacturers. The goal of this study was to provide relevant data on employer needs to help the NC Commission on Workforce Development draft policies and strategies to guide the state’s workforce development system. The study was designed to answer the most common questions related to employer hiring difficulties. This survey of over 5,000 job seekers from all 100 counties in North Carolina was performed to gather information related to the challenges job seekers face when searching for gainful employment. The report highlights several key findings including that over 43% of jobseekers turned down job offers because of insufficient pay. This may indicate that there may be a level of “wage gap” along with the “skill gap” among the workforce in North Carolina. The information clearly demonstrates the amount of work needed to align the goals of each group before employers and job seekers can connect and put people back to work.